Few people in the United States know that May 1, 2008 is a holiday – International Workers’ Day – recognized in almost every country with the exception of the U.S., Canada, and South Africa. Ironically, it was U.S. workers that founded the holiday. International Workers’ Day (also known as May Day) is deeply rooted in the American union movement – specifically the struggle during the late 1800s for an 8-hour workday. In 1884 at its annual convention in Chicago, the precursor to the American Federation of Labor announced that from May 1, 1886 henceforth, the 8-hour workday would constitute a "legal day’s labor". You can learn about the Brief Origins of May Day in an article by the Industrial Workers of the World (IWW). 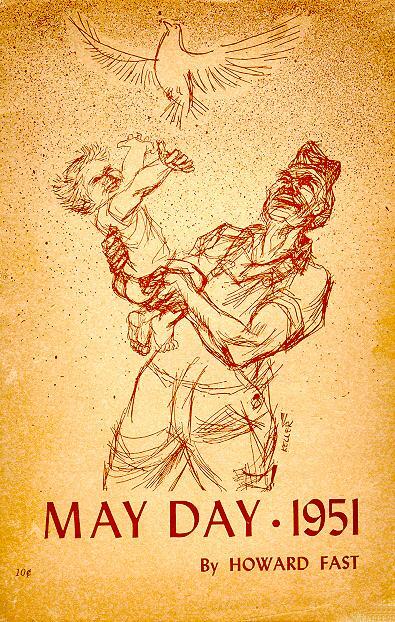 The AFL-CIO Blog has a great article about May Day celebrations going on today. The Nathaniel Greene Branch 630 of the National Association of Letter Carriers (NALC) in Greensboro and Memorial Branch 936 in High Point observed today a two minute moment of silence on May 1st at 9:15 AM, in opposition to the US war in Iraq. The APWU and the Rural Letter Carriers locals in High Point also participated with Branch 936 in the protest. Branch 936’s observance also includes recognition of Workers’ Memorial Day. Branch 936 President Annie Woods said her branch is memorializing all the lives lost in the ongoing Iraq War as well as all U.S. workers who died this past year in on-the-job injuries. These North Carolina union actions are in solidarity with the San Francisco Labor Council, the San Francisco Letter Carriers Union, the New York City Metro APWU and many others. All these unions decided to act following the decision of the West Coast Longshoremen’s Union (ILWU) to hold a day shift 8 hour work stoppage on May Day in opposition to the US war in Iraq. The NC State AFL-CIO adopted Resolution 12: Bring the Troops Home Now at our 50th Annual Convention last fall. In the resolution, delegates to the convention highlighted the great cost of the Iraq War borne by our armed forces abroad and working families at home and found "the tragic and unnecessary loss of lives needs to stop".